Beautiful and affordable cremation urns, pet urns, urns for ashes and personalized memorials. Why Mainely Urns & Memorials? 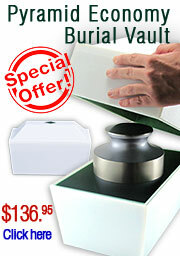 Largest selection of quality cremation urns available anywhere. Save 40%-70% over funeral home prices. Fast free shipping* on most items. Hundreds of times a week we help families in your similar situation. Please allow our compassionate and educated staff to help you choose and personalize a cremation urn or funeral memorial to suit your needs, tastes and budget. Mainely Urns & Memorials provides access to the most popular, unique and affordable cremation urns, burial urns & vaults, pet cremation urns and memorials. We personally review product lines to guarantee quality and craftsmanship. Whether you are looking for urns for ashes (wood urns, metal urns, marble urns, photo urns) or some helpful straightforward funeral and cremation urn resources, it would be our honor to assist you. We offer excellent customer service, products and value. All orders come with our 100% satisfaction guarantee. Thank you for considering Mainely Urns & Memorials. I wish I could have introduced my company under more pleasant circumstances.